President Dr. Ernest Bai Koroma has assured the Sierra Leone Police Force of Government’s determination to support the force and ensure they perform their duties without any political interference. He gave this commitment at the Passing-Out Parade of 711 new recruits at the Police Training School, Hastings on Saturday 19th November, 2011. President Koroma told the new recruits that development and transformation can only be achieved in an atmosphere of peace and stability, noting that maintaining security within a democratic framework is impossible without a very capable and vibrant police force. The Sierra Leone Police, he said, occupies a central place in government’s Agenda for Change, because it believes in a committed and professional police force which takes its scared duty of maintaining law and order very seriously. 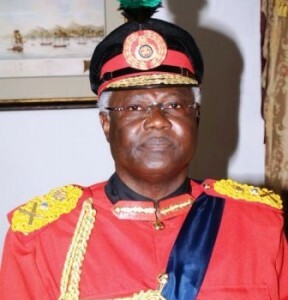 President Koroma maintained that nothing will distract his government from that goal as they will continue to engage their international partners for support to develop a highly motivated force in the ongoing democratic dispensation, especially to consolidate the country’s status as the largest contributors of police personnel to Darfur, Sudan. The president also noted that in performing their policing duties, they must preserve the peace and public tranquility under the constraints of human rights legislations, whilst adding that, they must be able to strike the correct balance between keeping the peace and allowing people to exercise their democratic rights. Moreover, President Ernest Koroma urged the new recruits to display a high sense of integrity not just as custodians of law and order, but also to work with and earn the respect and confidence of the people and communities they serve. He also reminded them of the many challenges and opportunities awaiting them in their new career and hoped that they will perform their duties very well. He however admonished them to desist from political activities and therefore remain neutral noting that government is dedicated to ensuring that the Inspector General and his top management provide the leadership necessary for the police to sustain a safe and secured environment for the 2012 elections to take place in a free, fair and credible manner. In his welcome address, Inspector General of Police, Francis Munu assured President Ernest Bai Koroma that the police will do everything within its power to improve on quality police service that will be a credit to the nation. He maintained that apart from basic recruit training, the training school provides various courses ranging from in-service courses, junior, intermediate and senior management courses to specialist areas, including the Criminal Investigations and Family Support Unit (FSU) and gender-laws. He revealed that the bidding process for the construction of hostels to accommodate local and foreign trainees and an administrative building is well under way. The Inspector General of Police maintained that the police continue to make progress not just in law enforcement but also in overall capacity building and commended the Government and its development partners for their support to the Sierra Leone Police while appealing for additional support to motivate the officers for them to deliver, guarantee peace, stability and security necessary for the implementation of the Agenda for Change.